Rosamunde Pilcher is one of the best-loved authors associated with Cornwall, with a literary career that has spanned five decades. Born in 1924 in Lelant near St Ives, it is here - her childhood home - that inspired many of her novels, which have since been adapted for TV and film. Much of the filming took place here in Cornwall, featuring the county’s iconic beaches, breath-taking coastline and impressive architecture. Located near the beautiful fishing town of Padstow, Prideaux Place has been the location for over 15 Pilcher films. This impressive 16th century manor house overlooks a lush deer park and is owned by the Prideaux-Brune family, who often take cameo roles in the adaptations - Peter Prideaux- Bune has so far played a gin taster, coroner and chauffeur. 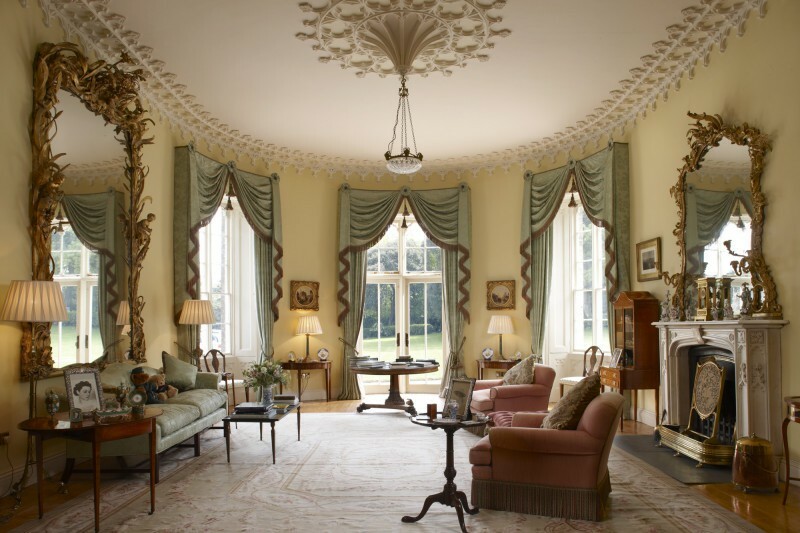 House tours are available from March through to October and showcase Prideaux’s impressive interior, home to beautiful collections of furniture, paintings and porcelain, which highlight both the family’s and Cornwall’s extraordinary history. Look out for the the sixteenth century carved ceiling depicting the biblical story of Susanna and the Elders. Covered for two hundred years until its restoration in 1987 it is known as the ‘hidden ceiling’. Copyright Richard Knights and licensed for reuse under this Creative Commons Licence. This tiny fishing inlet starred in what is considered Pilcher’s most famous work – ‘The Shell Seekers’ - but is best known for the post-impressionist artists who came to stay here in the early part of the 20th century. A true hidden gem, Lamorna Cove is situated in a lush valley just south of Penzance - with only a few cottages bordering the narrow lanes, it’s a beautiful place to visit. 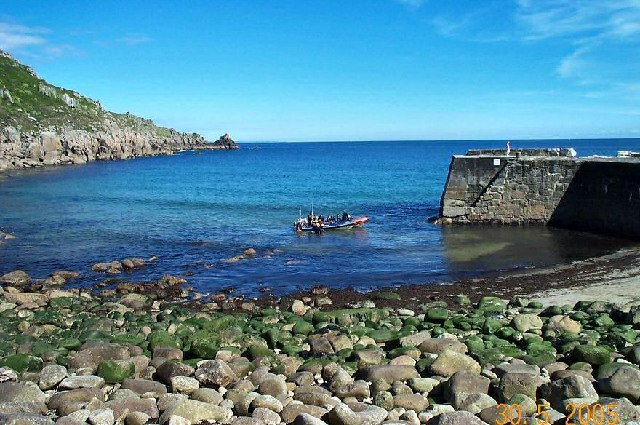 We recommend taking a stroll along the coast from Mousehole to Lamorna to appreciate this breath-taking area. 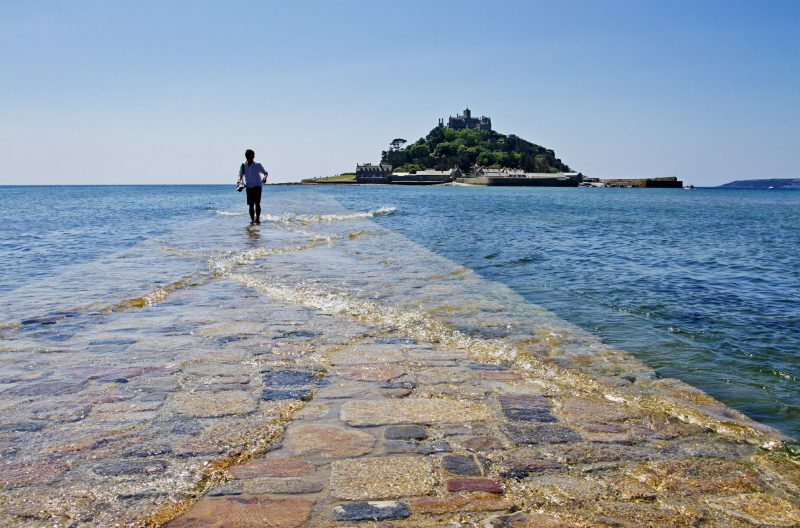 The beguiling beauty of St Michael’s Mount has enticed monks, pilgrims and artists from around the world for centuries. The film crews for Rosamunde Pilcher have also been entranced by this magical place – using it as a film location in ‘The Shell Seekers’ and ‘Coming Home’. The church, castle and grounds on the Mount are alive with myth and legend –including that of the giant Cormonan who terorrised the surrounding area before being killed by a brave Cornish boy named Jack. No visit is complete without exploring the stunning cliff-side gardens (open April – September), which have thrived over the centuries despite the gales and salty winds that pummel the Mount. The stunning stretch of coastline between Chapel Porth and St Agnes Head featured as a dramatic backdrop in many episodes. Scattered with disused mine buildings which stand as a poignant reminder of Cornwall’s industrial heritage, it’s a fantastic place to explore. 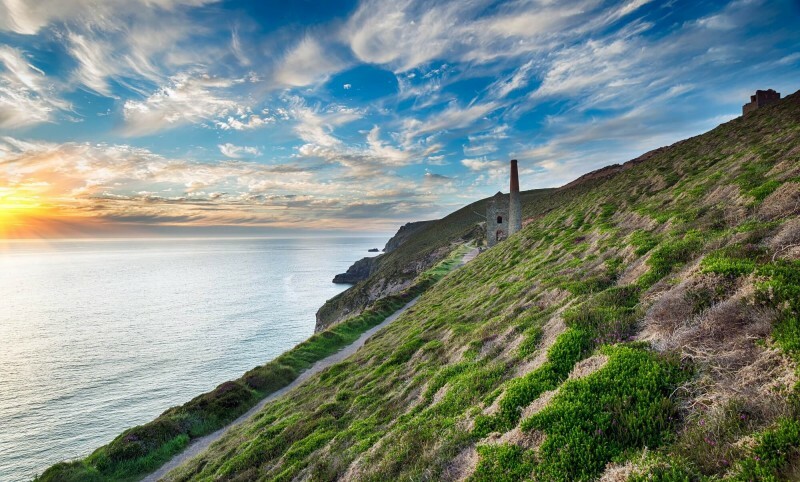 Pass the mines of Wheal Charlotte, Wheal Coates and Trevellas as you meander through the last remnants of the heathland which once covered most of Cornwall. 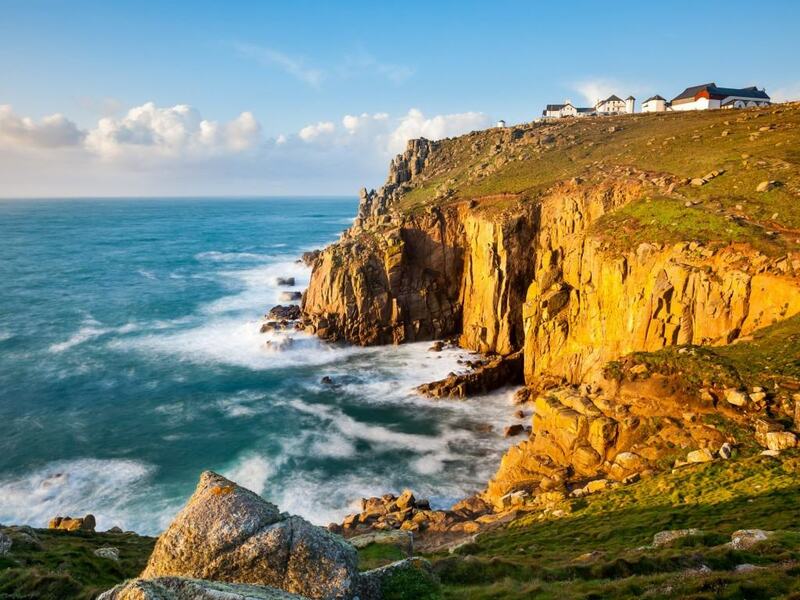 Featured in the ‘Day of the Storm’, the imposing cliffs, golden beaches and striking countryside at Land’s End are iconic Cornish landmarks – well worth visiting when in the county. You can’t get further southwest than this in mainland Britain and the remote and dramatic coastline here is a walkers’ paradise. Explore the beautiful Nanjizal beach, home to incredible stone formations including the Diamond Horse – named for the jewel-like glint that appears when the sun shines through it. Wildlife buffs should keep their binoculars handy, as gannets, kittiwakes, basking sharks and dolphins are regular visitors here - even the rarely seen Cornish chough occasionally puts in an appearance! Discover more Rosamunde Pilcher film locations here.